A Subaru test driver demonstrates the automaker's latest version of its EyeSight safety system at a testing ground. Istanbul is set to host the World Automotive Conference again this year with the participation of prominent figures from the industry and leading firms. The goal of the event this year is not just to provide a platform for debate and networking about what the "future" will look like; but to truly understand what is happening in the market now and provide lessons learned and real case studies of how you can seize this revolution currently taking place within the automotive industry. While the event will elaborate on future technologies and hot developments in the sector, the leading figures of the industry opine that autonomous driving will have the highest impact on the automotive industry. Emeritus Executive Vice President of Ford Motor Company John Flemming stressed that in the next decade the industry will see continued change as the opportunities and challenges continue to grow. "There are many new business opportunities enabled through autonomous vehicles and the trend towards vehicle usage rather than direct ownership. I believe we will see truck autonomy and taxi usage in the initial phase," Flemming said. As far as he is concerned automation will also be increasingly seen in cities as electrified and autonomous vehicles with zero emissions are more acceptable to be used in high density cities. For companies engaging in automation, Flemming highlighted three key considerations, which are: how to address the regulatory pressures, navigating around economic issues where customers enjoy new technology but do not want to see price increases, and new technologies established to handle the issues together with the move steering toward total vehicle autonomy. "The area still to be understood is ownership of the time available when customers are in their autonomous vehicles and [thus] the business opportunities will be available," he added. Mercedes Benz Türk A.Ş. Global IT Solutions Delivery Center Turkey (SDC Turkey) Director Özlem Engindeniz evaluated the fast growing technologies in the industry. Referring to the inevitability of constant transformation in the industry, Engindeniz said every stakeholder in the automotive industry is looking for a way to capitalize on recent advances in technology like AI, Analytics and the "internet of things" (IoT). "The concept of autonomous driving cars is largely dependent on the 'internet of things.' This is due to the reason that this technology could be enabled only with the help of IoT. We can say that IoT will increase the connectivity between vehicles and together with AI solutions will further enhance the choices for buyers by providing information regarding their preferences while buying and using the vehicle," she said. By 2020, industry analysts estimate that nearly 250 million cars will be connected to the Internet, the Mercedes Benz Türk SDC Director noted. She highlighted that with new vehicles coming equipped with a host of smart sensors, embedded connectivity applications, and big-data enhanced geo-analytical capabilities, the industry is transforming from automotive production to the transportation industry which serves driver specific multiple value-added services. Maserati Industry 4.0 Specialist Francesco Alfieri underscored that the development trajectories in the industry point to further increase in autonomous vehicles in the next decade. Considering the technological developments on the production side, including machine learning, artificial and augmented intelligence, predictive maintenance and big data, the demand for vehicle technology will significantly rise. 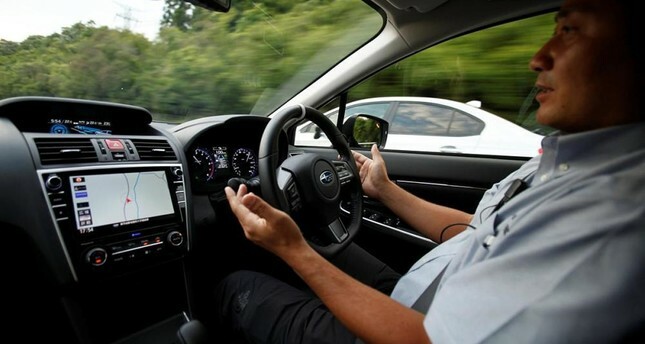 "Demand for vehicle technology both to make driving easier and safer and to be continuously connected to the virtual world will grow. The development trajectories go towards the connected and autonomous vehicles," Alfieri said. Alfieri also explained the advantages of applying new technologies to enable greater efficiency in production systems. "The integration of artificial intelligence and IoT allows us to plan production more precisely, reduce waste and thus have a greater focus on the environment. All this with a significant reduction of the time to market and to actually implement mass customization, that is, to be able to respond quickly to the desire to personalize an increasingly demanding customer," Alfieri added. As well as individual use and taxi usage, the autonomous vehicles are also expected to rise in the fleet industry. Leading business mobility provider Alphabet Head of New Markets Ruediger Ebel said that autonomous driving will have the highest change impact on the automotive fleet industry in the next decade. "Depending on the speed of realizing it and the grade of autonomy it can deeply change the business model in the fleet service industry," he added.